This appealing lifestyle property set on 2 acres (approx.) is superbly located and offers an enviable rural life with city and coastal attractions within easy reach. 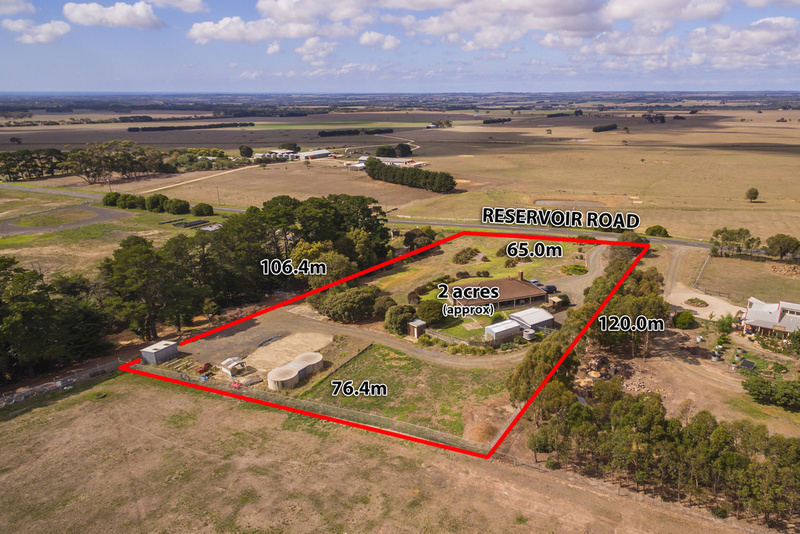 Perfectly situated just 10 minutes from Deakin University, Epworth Hospital and Waurn Ponds shopping centre, 20 minutes to Geelong, 1 hour to Melbourne via the Ring Road and 20 minutes to the Surf Coast beaches. The existing homestead with scope to improve or extend (STCA) features three spacious bedrooms with BIRs, living area with sweeping views towards Torquay, kitchen / dining, central bathroom,separate toilet and laundry with 2nd shower. Other features include double garage, two garden sheds, town water, approx 40,000 litres of tank water and well established gardens. Outstanding lifestyle opportunity not to be missed. Terms: 10% Deposit 30 - 60 day settlement.